As you should know by now, there are new Target novelisations of Doctor Who serials, including the show’s 2005 comeback episode, and the 50th anniversary special. For the latest issue of Doctor Who Magazine, four of the authors – Russell T. Davies (Rose), Steven Moffat (The Day of the Doctor), Paul Cornell (Twice Upon A Time), and Jenny T Colgan (The Christmas Invasion) – discuss the new books. Anthony Dry, whose work graces the covers of the new Target books (and who is a friend of the DWC’s, we’re proud to say), is also interviewed about replicating the style of Chris Achilleos and co., while also bringing the pieces bang up to date in his own inimitable style. 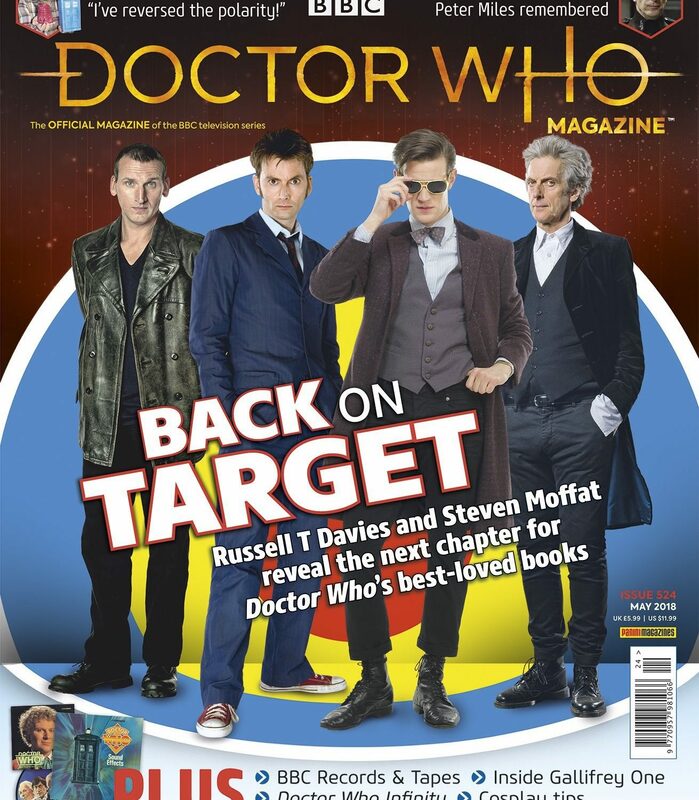 RUSSELL T DAVIES: The former showrunner returns to write this issue’s Production Notes column! 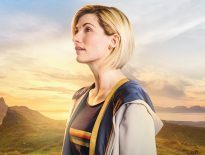 GALLIFREY ONE: Inside the Los Angeles convention that’s renowned as one of the greatest Doctor Who events in the world. DOCTOR WHO INFINITY: An exclusive preview of the ambitious new game starring Michelle Gomez as Missy and Ingrid Oliver as Osgood. OUT OF THE TARDIS: Impressionist and Doctor Who fan, Jon Culshaw answers randomly selected questions from the TARDIS tin. PETER MILES: The life and career of the actor who played Nyder in the classic 1975 story, Genesis of the Daleks. 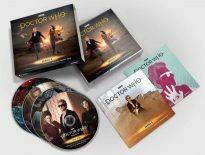 BBC RECORDS & TAPES: All the Doctor Who releases from the record company run by the BBC from the late 1960s to the early 1990s. DOCTOR WHO LOGOS: The untold story behind the creation of Doctor Who’s 2010-17 logos. KLAUS JOYNSON: The DJ and drummer is interviewed about his remarkable Doctor Who-themed album, New Adventures in Time & Space. COSPLAY: Christel Dee’s guide to cosplaying the Doctor’s distinctive orange spacesuit. THE FACT OF FICTION: Exploring the hidden depths to the 2015 story, Sleep No More. THE CLOCKWISE WAR: Part one of a new comic strip adventure written by Scott Gray and illustrated by John Ross. PLUS: News, previews, book and audio reviews, competitions, The Blogs of Doom, and much more. Doctor Who Magazine #524 is on sale now, price £5.99. ← Can Kamelion Be Redeemed on Audio?